2018 year end. — Gwynfro. Great reviews from guests and a thank you from Booking.com. 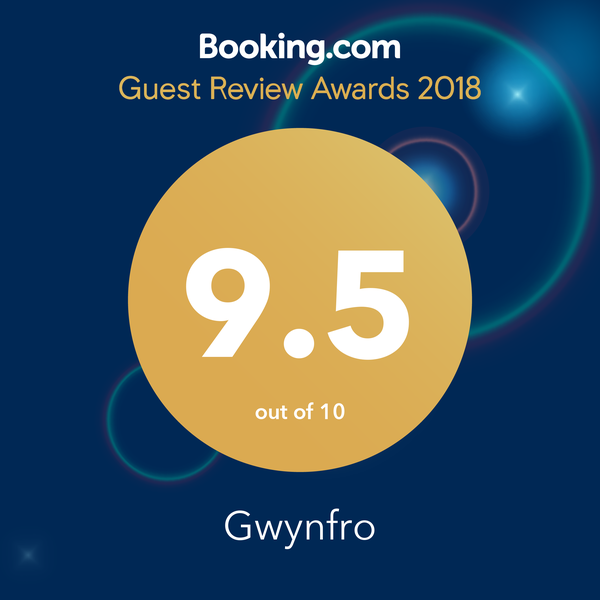 Nice way to start the new year and we are ready to welcome new and repeat guests in 2019. looking forward to meeting everyone who chooses to stay with us this coming year.